A Butterfly valve is a quarter-turn rotational motion valve, that is used to stop, regulate, and start flow. A butterfly valve has a disc which is mounted on a rotating shaft. When the butterfly valve is fully closed, the disk completely blocks the line. When the butterfly valve is fully opened, the disc is at a right angle to the flow of gas or liquid. The butterfly valve consists of only four main components: body, disk, stem and seat. 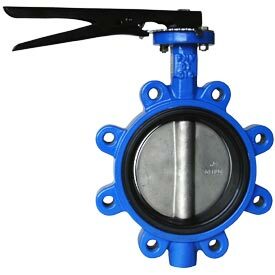 Butterfly valve body: Butterfly valves generally have bodies that fit between two pipe flanges, the most common being lug and wafer body design. Butterfly valve disk: The disk is how the valve stops flow – it is equivalent to a plug in a plug valve, a gate in a gate valve or a ball in a ball valve. There are variations in disk design and orientation in order to improve flow, sealing and/or operating torque. Butterfly valve Stem: The stem of the butterfly valve may be a one-piece shaft or a two-piece (split-stem) design. The stem in most resilient seated designs is protected from the media, thus allowing an efficient selection of material with respect to cost and mechanical properties. Butterfly valve Seat: The seat of a resilient-seat butterfly valve utilises an interference fit between the disk edge and the seat to provide shutoff. The material of the seat can be made from many different elastomers or polymers. The seat may be bonded to the body or it may be pressed or locked in. A 90° rotation of the handle provides a complete closure or opening of the valve. Large Butterfly valves are usually equipped with a so-called gearbox, where the handwheel by gears is connected to the stem. This simplifies the operation of the valve, but at the expense of speed. Butterfly valves are relatively inexpensive to build. Butterfly valves require less material due to their design. The most economical is the wafer type that fits between two pipeline flanges. Another type, the lug wafer design, is held in place between two pipe flanges by bolts that join the two flanges and pass through holes in the valve's outer casing. Furthermore, common Butterfly Valves materials are often less expensive. Butterfly valves have less space requirements. This is due to their compact design which requires considerably less space, compared to other valves. Butterfly Valves are generally associated with reduced maintenance. Their reliability and reduced maintenance requirements of Butterfly valves make them popular. Their reduced level of wear allows the useful life of the valve to be longer. This reduces direct operating costs and cuts the hours of time required for valve maintenance. Cooling water, air, gases, fire protection etc. 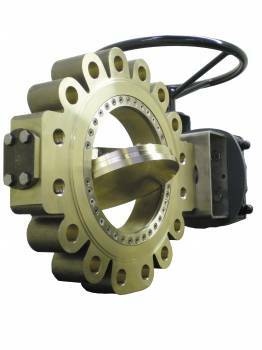 Butterfly valves are easier to handle and install into an application due to their light weight and reduced space requirements. Butterfly valves have significantly smaller face-to-face dimensions than gate valves, making them an ideal valve for small spaces. Butterfly valves are easier to operate and reduce in faster opening and shut-off – only a quarter turn is needed to fully open and close the valve. 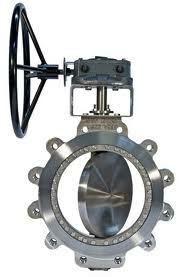 Butterfly valves have much shorter shafts than gate valves, meaning there are less problems with access. Butterfly valves are generally cheaper due to less expensive requirements and less weight.